The Error 0x80070035 The network path was not found can happen for many different reasons, this guide will show you many general resolutions for this issue. This issue affects all versions of microsoft windows. The error is caused by some sort of authentication issue, I have seen this error 0x80070035 The network path was not found the most on windows machines connecting to shares which are hosted on non Microsoft Operating systems such as Linux. When a microsoft machine tried to access a share it needs to authenticate before it can access the resource. When a Microsoft windows machine tries to access a share on a non windows machine (Linux for example) the authentication some time can fail because the remote machine can not under stand the format of the authentication sent. In my experience this is the most likely cause of the Error Code 0x80070035 The network path was not found, so we need to change how the authentication request is sent, we will need to perform the following steps. 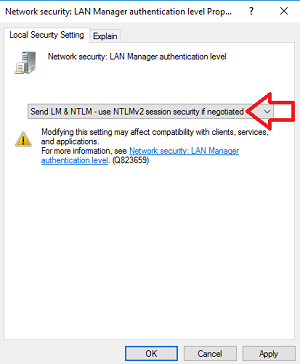 From the drop down box select “Send LM & NTLM-use NTLMv2 session security if negotiated” then click on apply then ok. Now restart your machine and try to access the share that you got the error on before. 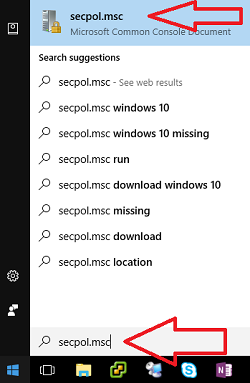 I could have simply given a list of dll’s needed for gpedit.msc and secpol.msc – in particular the missing wsecedit.dll, but I wanted to show my resources to hopefully ease the minds of those that will embark on this hunt after me. Armed with the information above, I found it very easy to add gpedit and secpol to Windows XP SP3 Home Edition. More importantly, they work and I feel like the OS on this machine is how it should have been in the first place. I do have Pro installation disks, but I didn’t want to be that destructive to a well established, modified and tweaked system. Unfortunately, at this point I have not determined if the policy changed has affected positively my error message, because at this moment my other networked computers are not showing up on my Windows 7 Network window.